It is necessary to determine the type of work force & nature of work culture that one wants to implement within the boundaries of the office space. 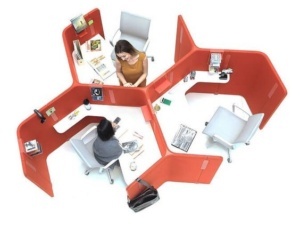 Offices these days have become more interactive & definitive-boundary less thereby going with the flow. Partitions are just restricted to desk levels & individual spaces to seat level. 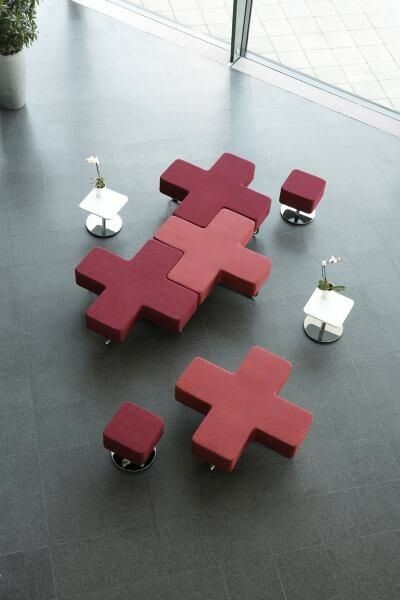 Furniture pieces are the only elements defining the decor !! So are you inspired for makeover? 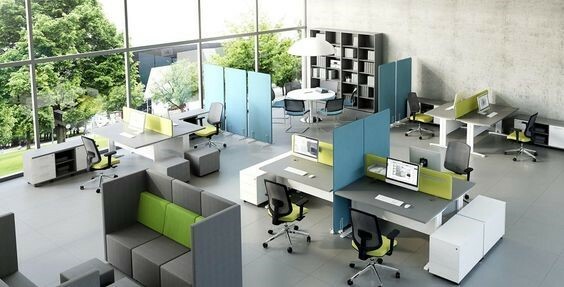 Let us show you ways to experiment & transform your boring office into a happening & full of life space!! You could always adapt modern notions of individual pieces of furniture that could be moved around from time to time for an impressive makeover. 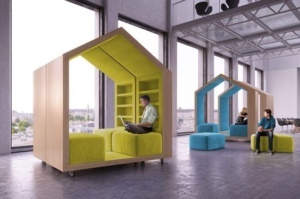 Individual work-pods can be implemented for reduction in visual load on the interior furniture of the space. Also these define individual boundaries that are temporary hence motivating the user to frequently get out & socialise officially. 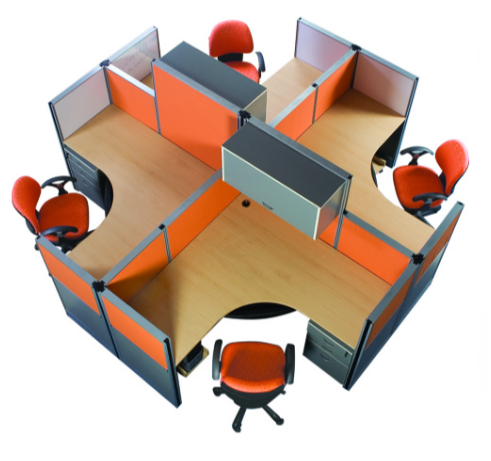 Also altering the inherent work-desk arrangement for non-hierarchical arrangement could do wonders for you!! 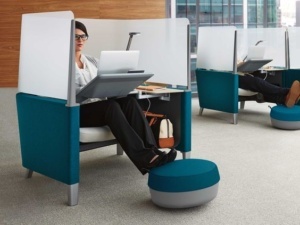 These banish the authoritative bunds promoting more mutual growth of the company & the employees. 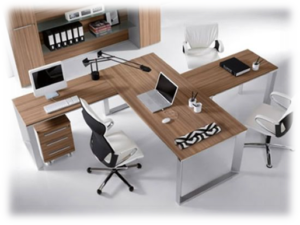 These pieces from GODREJ INTERIO are multi-functional & great space savers. Here are some variants of the same from FINE GRACE PRODUCTS. If you have a small space but dream a larger work area, You could adopt furniture that folds up into one & doubles up as two. 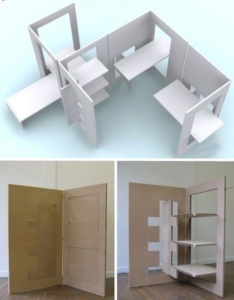 These will save your space & you could use only as much as you want!! Multi-functional furniture or those which can be re-arranged or jumbled up to form new furniture are the need of every new-age office space today. Simple looking decor yet sophisticated & casual yet official atmosphere is what we at Apex Projects will help you achieve!! 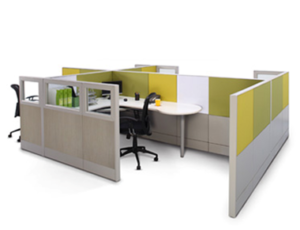 This entry was posted in Architect's Pick and tagged ideas, interior design, modular furniture, office interior, office space. Bookmark the permalink.